A WHISTLE-stop London tour for art students saw them marvel at the old masters and walk into a pillow fight. 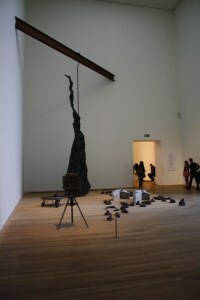 The Haslingden High School students took an early morning train from Preston to Euston and first visited the Tate Modern Gallery where the exhibits prompted heated debates; some found them inspiring while other students were enraged at the ‘art’. 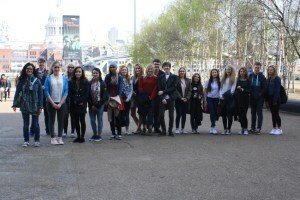 After lunch overlooking St Paul’s Cathedral, the students walked past the South Bank, over Blackfriars Bridge through Covent Garden to arrive at Trafalgar Square. Then they walked straight into National Pillow fight Day and found themselves dodging flying feathers. The afternoon was spent taking in the Masters in the National Gallery. They managed to soak up the atmosphere in Leicester Square before catching the train back to Preston. Miss Leaver and Miss Butterworth would like to thank all 18 students from Years 10 to13 for their exemplary behaviour, their humour and enthusiasm, making this a really successful trip all round.